Invoices can be paid in two ways, online payment by your customer or you entering payment if you have your customer’s payment information. 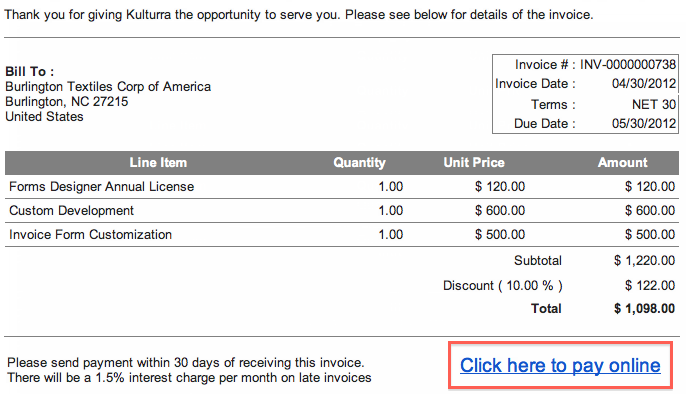 Your customer will need to click the link and follow onscreen instructions to pay the invoice. Aside from Credit Card payments, you can also enter other forms of payment such as Check, Cash or Wire Transfer. Follow onscreen instructions to complete the payment.